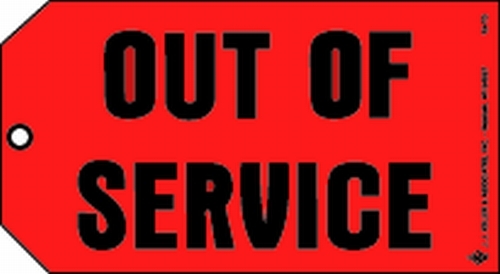 One side identifies vehicle's "out of service" status. The other side identifies items to be repaired. Clear mylar with static cling which is easy to remove once repairs are made.